Each of us experiences the world in a different way. Our experiences inform our perceptions and assumptions creating a frame from which we view the world and each other. As professionals working to strengthen communities, our “frames” shape the way we view clients and the systems we design and use to help them. We see firsthand how frames may create misconceptions and barriers to success and wellness. 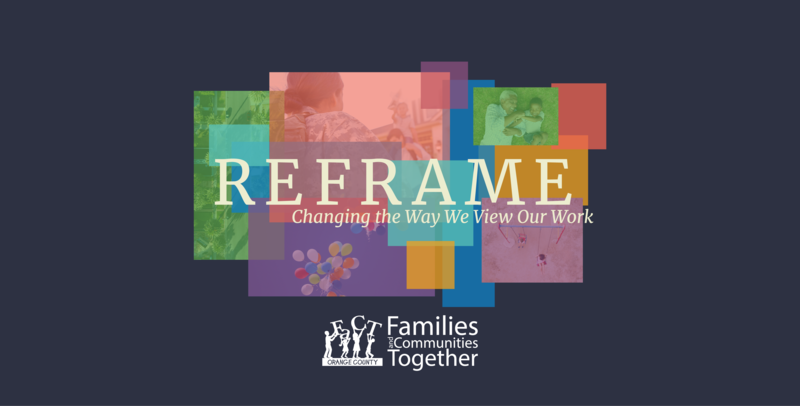 Join us at the 2019 FaCT Conference for a robust discussion that will challenge us to “reframe” our thinking about how and why we serve. As case managers, social workers, and professionals working with vulnerable members of our communities, we know how difficult finding a home can be. Whether finding an affordable apartment or seeking a place to stay just for the night, housing is a source of instability for too many of Orange County’s families. Join us for a discussion on the current support systems. Trauma-informed care is changing the way we practice, how we view ourselves, and most importantly, how we view our clients. In this breakout session we’ll go beyond the buzz word and learn the ins and outs of what it means to practice trauma-informed care. While the stigma around mental health still exists, more people are seeking support and services as we seek to heal and grow together. However, navigating the mental health system, especially while struggling with mental illness, is often frustrating. This breakout session examines the mental health system and where we can work to improve it. Youth in foster care experience unique challenges throughout their lifetime. Join a previous foster youth and a children’s support service expert in a panel discussion aimed at exploring the foster youth experience and the unique challenges associated with it. Entering the criminal justice system early in adulthood is a pivotal moment. Join a discussion aimed at rethinking the way our criminal justice system interacts with young adults and learn about a new program that is paving the way for future policy initiatives. Between managing deployments and returning home, dealing with injury and loss, and parenting and maintaining relationships, members of our armed services and their families face unique challenges. This breakout session focuses on the current systems in place for military families, its gaps, and what is being done to address those gaps. Keynote Speaker: Casey Gwinn, Esq. Casey has been recognized by The American Lawyer magazine as one of the top 45 public lawyers in America. He is an honors graduate of Stanford University and UCLA School of Law. Casey served for eight years as the elected City Attorney of San Diego from 1996 to 2004. Prior to entering elected office, Casey founded San Diego’s Child Abuse and Domestic Violence Unit, leading the Unit from 1986 to 1996 – prosecuting both misdemeanor and felony cases. The National Council of Juvenile and Family Court Judges honored his specialized prosecution unit as the model domestic violence prosecution unit in the nation in 1993. In 2002, Casey led the effort to open the nationally acclaimed San Diego Family Justice Center with professionals from 25 agencies together under one roof. His leadership as a prosecutor has been widely credited for the 90% drop in domestic violence homicides in the City of San Diego since 1985. In October 2003, President George W. Bush announced a national initiative to begin creating Family Justice Centers across the country and asked Casey to provide leadership to the effort. 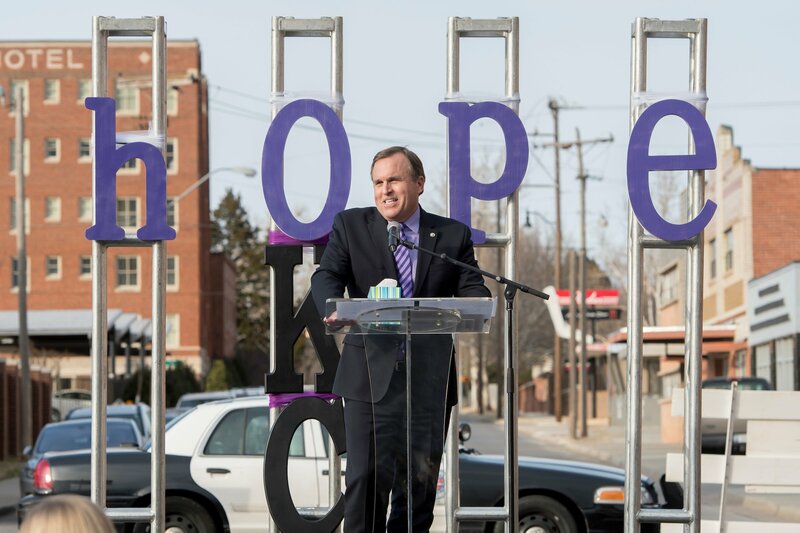 Today, Casey and his team support more than 130 open and developing Family Justice Centers in the U.S. and around the world including Centers in Shawnee, Oklahoma City, and Tulsa, Oklahoma. Casey has served on the U.S. Attorney General’s National Advisory Committee on Violence Against Women and the American Bar Association Commission on Domestic Violence. He chaired the California Attorney General’s Task Force on Domestic Violence. He also served on the congressionally created Department of Defense task force, studying the handling of family violence throughout the Department of Defense. His work has been profiled nationally on the Oprah Winfrey Show, CBS The Early Show, USA Today, The Huffington Post, New Yorker Magazine and a host of other news outlets. Most recently, Casey received the Ronald Wilson Reagan Public Policy Award from the U.S. Department of Justice, Office for Victims of Crime. He has authored or co-authored a host of articles and media commentaries and ten books on domestic violence and the Family Justice Center movement. In 2015 he authored “Cheering for the Children: Creating Pathways to HOPE for Children Exposed to Trauma”, a clarion call to all caring people to become cheerleaders for children exposed to adverse childhood experiences (ACEs). In the book, Casey explains why childhood trauma should be the preeminent public health issue in America today. This book was the result of one of Casey’s great personal passions, Camp HOPE America, the unique camping and mentoring initiative he founded at the San Diego Family Justice Center that is now expanding across the nation. Camp HOPE America is the first specialized camp in the country focused exclusively on children exposed to domestic violence and child abuse. Casey’s newest book, written with Dr. Chan Hellman from the Hope Research Center at the University of Oklahoma, is entitled “Hope Rising: How the Science of HOPE Can Change Your Life.” It is a roadmap to a life-well lived and points the way toward the power of hope in the lives of all those who have experienced hardship or adversity. Casey and his wife, Beth, an elementary school teacher for nearly 20 years, have three grown children. He is a proud grandfather of three grandchildren. How do I change the session topics that I chose after I register? Registration will be available at factoc.org/factconference from February 13 to May 10, 2019. I registered but I am no longer able to attend. What should I do? Can I pay my registration fee through a check or purchase order? Yes. Please contact us at [email protected] or 714-566-2878 for additional instructions. The Great Wolf Lodge located at 12681 Harbor Blvd, Garden Grove, CA 92840. Does my registration fee include a meal and parking? Yes! Your registration fee includes parking, a light breakfast, and a catered lunch. Can I pay my registration fee at the door? No. Please register at factoc.org/factconference or by contacting us at [email protected]. Didn’t see your question answered here? Please send your inquiry to [email protected] or give us a call at (714) 566-2878.